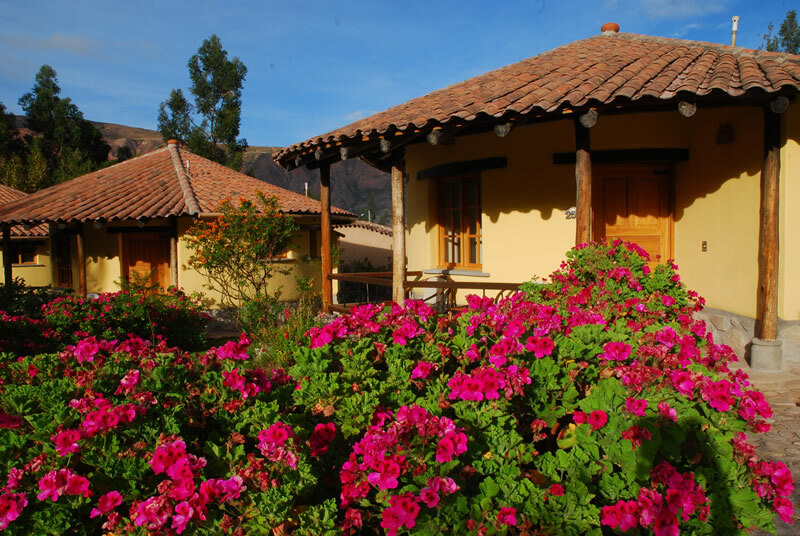 The Sol y Luna Lodge & Spa is a gorgeous five-star hotel situated in verdant gardens in the heart of the Sacred Valley. Not only does it offer top-notch luxury accommodation across 43 stylish individual ‘casitas’ (bungalow-style villas), this pretty property was founded as a social enterprise whereby a percentage of the profits go directly to the Sol y Luna Association which runs a school and educational projects in the Andes, which welcomes visitors. 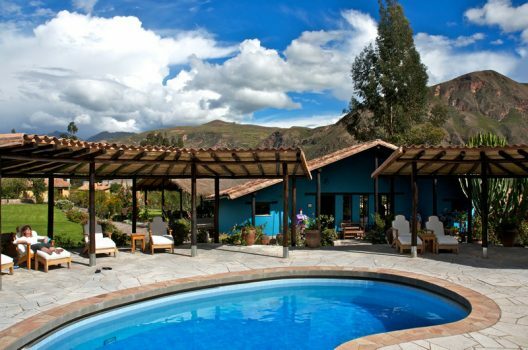 Sol y Luna is one of the best luxury hotels in the Sacred Valley, conveniently located close to Urubamba town en route to Machu Picchu. It was one of the first hotels to be built in the Sacred Valley, which has since become a destination in its own right. Soy Luna’s accommodation is comprised of a collection of charming luxury villas, with two swimming pools, two restaurants, a spa and its own horse stables with Peruvian paso horses. The five-star Relais & Chateaux hotel offers mountain-facing accommodation split across three categories: Superior, Deluxe and Premium. 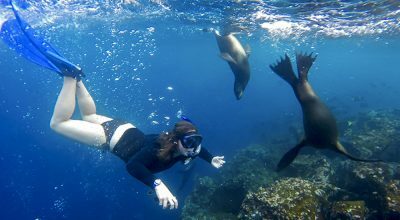 The spacious grounds of the property and ample amenities means Sol y Luna suits all types of luxury travelers including families, couples and groups. 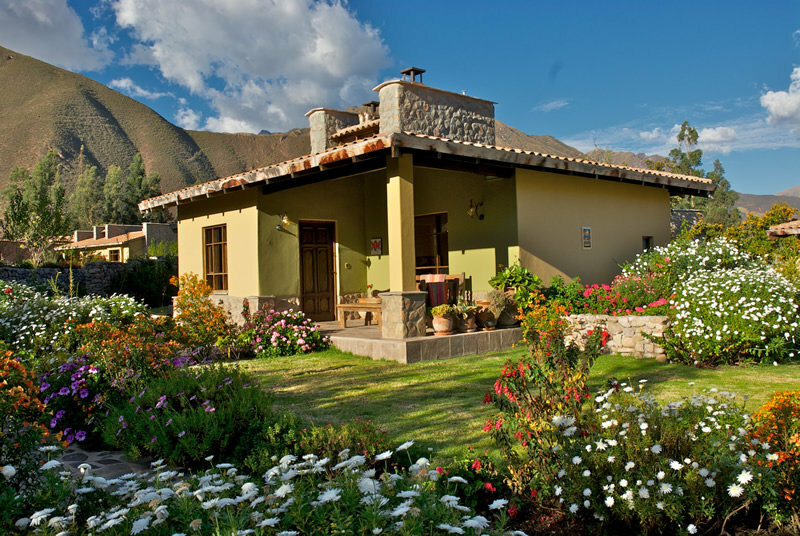 The high-ceiling cosy villas are made of local stone, each decorated individually with painted murals, colonial-style furniture, teracotta floor tiles and Peruvian textiles. All room categories show tasteful artistic flair. They offer room service and are equipped with flat-screen TVs, safety deposit boxes and high-speed Wi-Fi. The 28 cosy superior rooms are constructed in circular buildings with style and character such as large wooden beams. 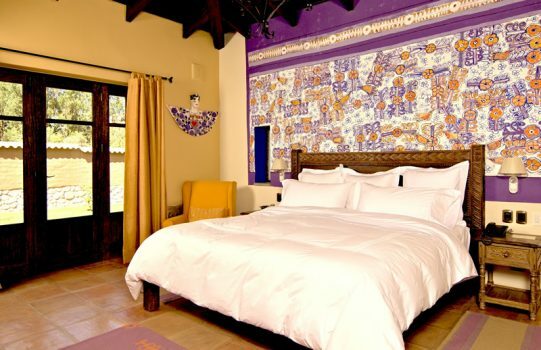 Popular art is incorporated in the decor, while artsy elemental motifs nod to the natural surrounds. There are five family-sized rooms in this category with a gound floor and upper mezaninne, fitting a king size bed and two single beds. There are also 12 double bedrooms and 11 twin bedrooms. These 10 Deluxe Casitas are a noticeable a step up in their level of luxury and size from Sol y Luna’s superior category, with their own porch, gardin and terrace areas. There are two adjoining suites separate by an entrance hall in this category – ideal for families. You will be kept warm on cooler nights by underfloor heating.A charming fireplace adds to the cosy, home-like ambience of these spacious suites. The Premium Casitas are the top category at Sol y Luna, with additional space over the Deluxe Casitas. The extra advantage of these ample villas is that the five Premium suites are divided into three large areas and living spaces: bedroom, living room and entrance hall. A large walk-in closet connects to a large bathroom – with shower and bathtub – with privileged mountain views. The premium casitas include a jacuzzi on a private patio. 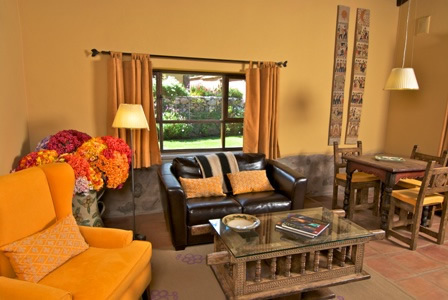 All the casitas display careful attention to detail in their artwork and interior design. A tasteful sense of place has been created by a local artist and muralist, Federico Bauer. Using the style of Arte Popular (popular art), he has masterfully – and lightly – reflected the natural environment of the gardens. Flower patterns, in particular, are prominent in his designs. 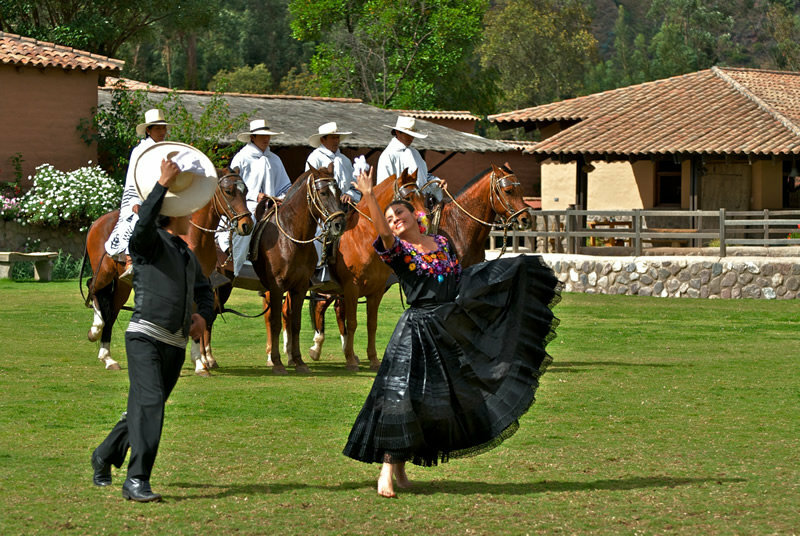 Elements of the Sacred Valley also appear in these works, from maize to local fruits. 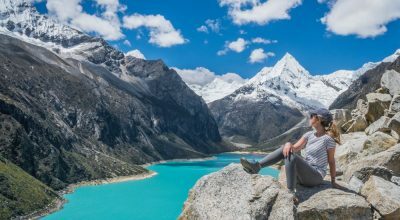 All of the furniture, meanwhile, was crafted by the late Jaime Liebana, a master craftsman from Lima who was renowned for his immaculate replicas and representations of colonial furniture. Aracari arranges appointment-only visits to his private home and Arte Popular collection in Lima, arranged by his two artist sons. 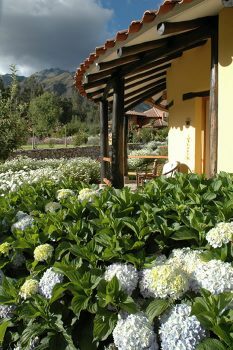 The on-site Yacu Wasi Spa is the ideal place to rest and relax, rejuvanating weary feet after exploring the highlights of the Sacred Valley. 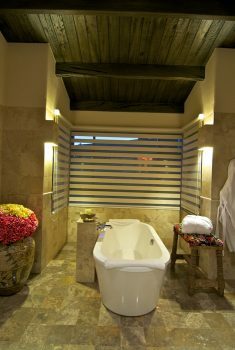 Services include massages, steam room, sauna, jacuzzi and yoga. There are also two swimming pools as well as a gym. A key feature of Sol y Luna is its natural, peaceful setting and carefully maintainted gardens, with colorful flower beds, bright green lawns and flora native to the Sacred Valley. Butterflies flitter between fruit trees as guests walk along snaking stone pathways to the stand-alone villa-style accommodation. The site of the hotel was carefully chosen to maximize the sunlight, lending the name ‘Sol y Luna’, meaning Sun and Moon. 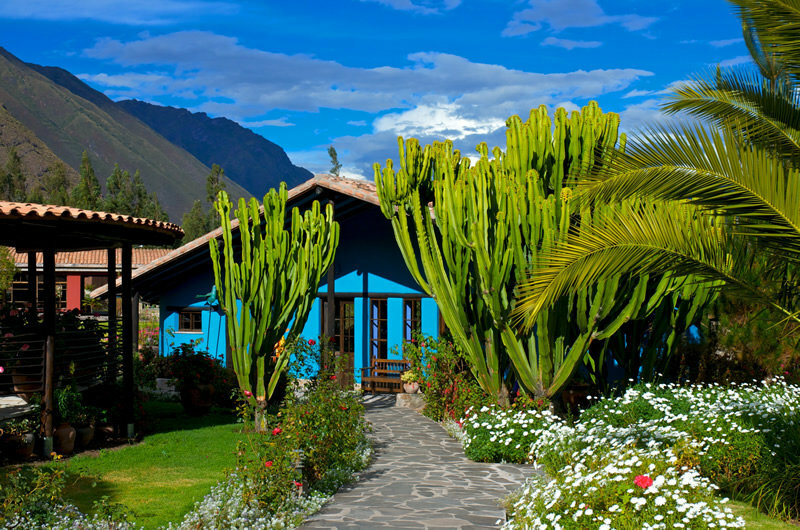 These elements – the movement of the sun and moon in particular – were very significant to the Incas, which the property has sought to incorporate in its layout. There are two excellent restaurants to choose from at Sol y Luna. 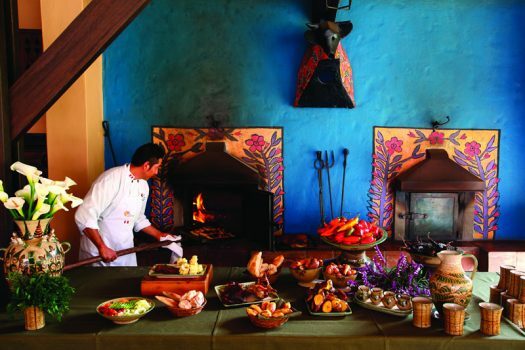 Elegant, intimate option Killa Wasi focuses on Peruvian gourmet cuisine in a more formal ambiance, serving up contemporary interpretations of the Sacred Valley0s rustic culinary traditions. 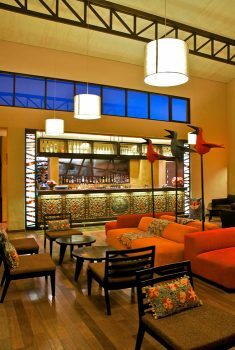 Killa Wasi is also used for breakfast, with indoor and outdoor seating by one of the pools. 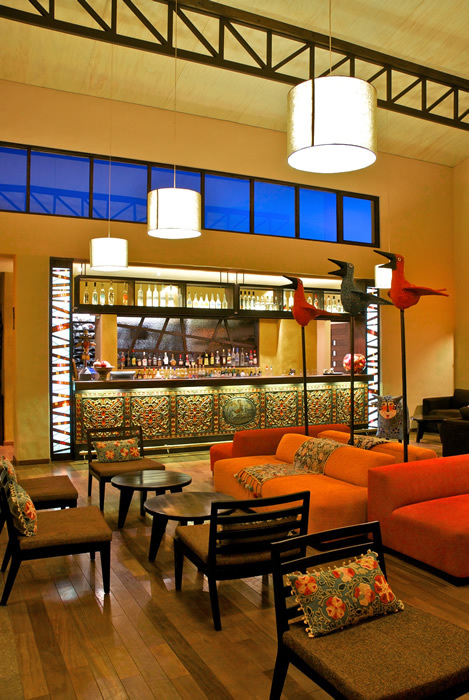 Alternatively guests and non-guests can dine at Wayra, a larger, more casual restaurant. 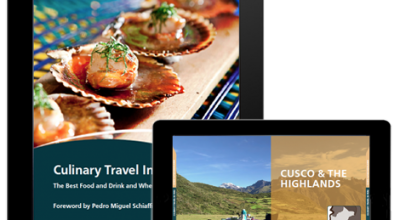 The excellent menus are built around Andean ingredients. 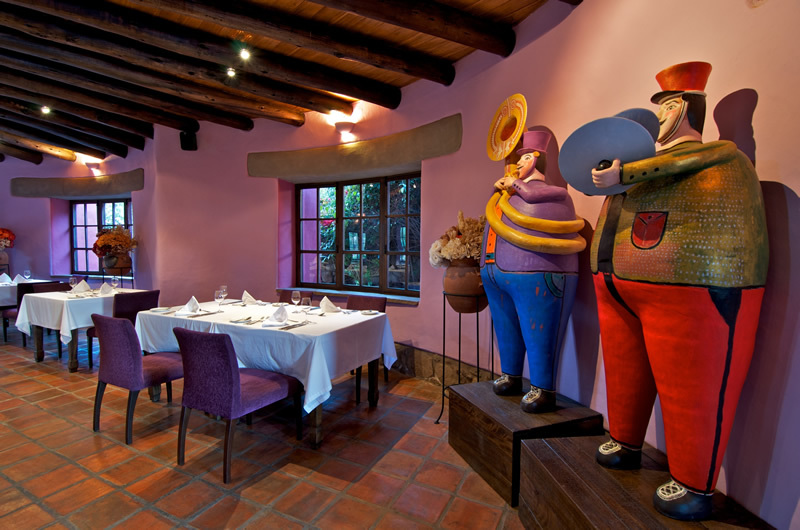 For special occasions at Sol y Luna, The Cava (meaning cellar) offers an exclusive dining venue. 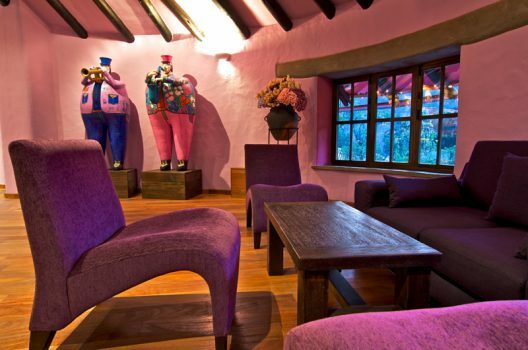 Housed beneath the Wayra Ranch, there is an extensive collection of wines from around the world. This space is perfectly suited to small groups looking for exclusivity. The Wayra ranch is host to regular Peruvian Paso horse shows, theatrical folk shows and textile demonstrations amongst other activities. Wayra restaurant organizes a Pachamanca meal, the traditional Andean process of cooking meats, potatoes and other vegetables in an earthen stove, beneath scorching hot rocks. 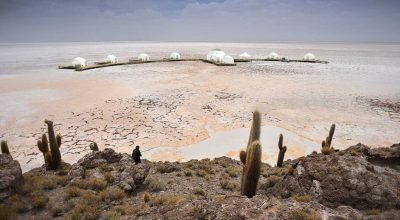 Sol y Luna also offer a range of outdoor activities such as quad biking (ATV), horseback riding, mountain biking and kayaking.